In other words, if we don’t start educating our children until they reach kindergarten, we’re too late. The first years literally offer a once-in-a-lifetime opportunity to lay the foundation for a productive life as a contributing member of society. At least 30 percent of respondents reported challenges in finding care that was affordable, high quality, convenient, had open slots, was available on an emergency/sick child basis or available outside Monday-Friday daytime hours. 25 percent report having reduced regular work hours due to child care problems. The same percent report having turned down a new job offer as well as further education or training. 55 percent have missed a full day of work because of child care problems. Jenny Wing Harper, Council for a Strong America’s Vice President of Federal Policy and Strategic Communications, views the issue as both an advocate and someone who experiences it on a daily basis. “I’m in it,” says the mother of a four-year-old and a two-year old. “But companies can’t do this on their own,” Kalli Krumpos, the organization’s Senior Associate, Strategic Planning and Development, adds. “We need bigger solutions.” She notes that two-thirds of U.S. children under age 6 have all available parents in the labor force. Harper concurs. “It’s relevant to everyone who has kids, and to every employer whose employees have kids.” That’s why, as the report emphasizes, child care is a workforce issue. The crisis has ramifications for spheres of American life that are not, at first glance, tied to child care. For example, 71 percent of young Americans between 17 and 24 are ineligible to serve in the United States military. 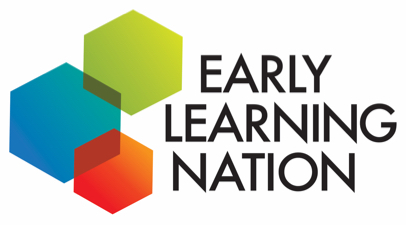 Studies show that the main causes of ineligibility—inadequate education, criminality and obesity—can all be alleviated by quality early-childhood care and education. This looming personnel shortage brought about by failing to act could be devastating to our national security. 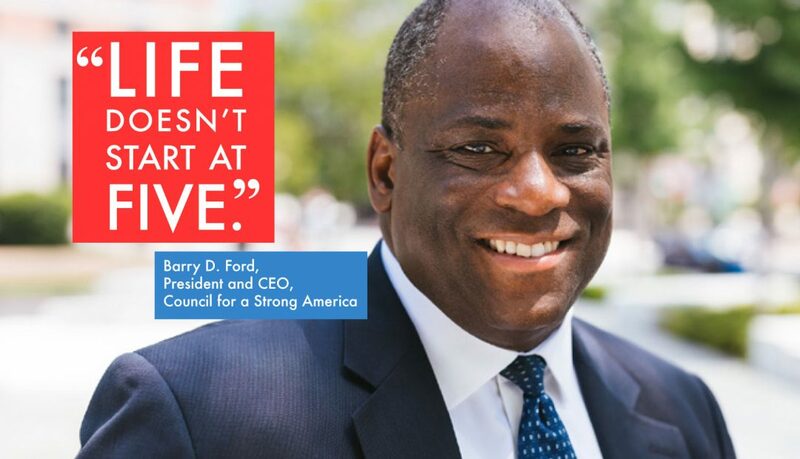 Council for a Strong America’s commitment to changing the child care landscape builds on newfound momentum around an issue that matters to Americans regardless of their party affiliation. Bipartisan consensus has already resulted in real victories. In 2018, funding for the Child Care Development Block Grants (CCDBG) program went up to $5.226 billion, an increase of $2.37 billion over the previous year, doubling the program’s discretionary funding. Harper believes one explanation for the progress is that more legislators have personal experience with the challenge of finding reliable child care. A record number of women are in Congress, and the average age of Congressional representatives is starting to come down. Dillon points to Louisiana’s tax credit for early-childhood workers as an example of an affordable measure that states can implement. As a result of the program, more children from low-income families are participating in high-quality child care and teachers are building their skills, as evidenced by sharp increase in credentials. Mark Swartz writes for and about nonprofit organizations. He lives in Takoma Park, MD, with his wife and two children.